How do Insane sims act? In 3, they would generate wishes that might not be possible to complete, wear random outfits such as donning sleep wear during the day, and could fish in swimming pools. In 4, sims with the Insane trait have random emotions, rather than ones influenced by their environment. They get angry, sad, embarrassed or what have you for no reason. In both games, Insane sims can talk to themselves to fill their social need. Sims who have the Insane trait don’t have any rationality—their lives are ruled by randomness. In 3, Insane sims would reply randomly to marriage proposals, rather than it being based on their relationship to other sims. If they were broken up with, they’d also take it out on another sim at random, rather than the sim who hurt them. In 4, Insane sims mutter to themselves. When you select the Insane trait on the Create A Sim screen, they shout at the screen and make a deranged face. The Sims is silly and fantastical, often dealing in outright fantasy like vampires and ghosts. It’s also a game that’s rooted in real life; in this case, people in the real world live with mental illness. People who live with mental illness don’t behave randomly—they have specific conditions with specific symptoms that can be treated to various degrees. It’s toned down in 4, but in general Insane sims are more aggressive and less liked by other sims. Even in a game where you can be abducted by aliens or eaten by a Cowplant, this feels like a judgement on people who live with mental illness. The Sims seems to suggest that having a mental illness will make you more violent and less likeable. According to MentalHealth.gov, only 3-5% of violent acts can be attributed to mental illness, and in fact mentally ill people more likely to be victims of violent crimes than the perpetrators. Suggesting, even unintentionally, that mental illness makes you prone to violence isn’t just wrong, it’s isolating for people who experience mental illness. 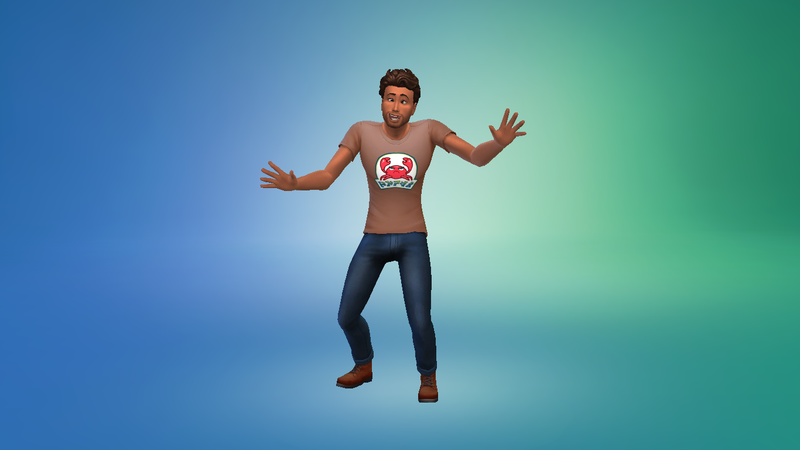 In The Sims 4, the image for this trait is the torso of a person in a straight jacket, a lazy shorthand for mental illness that suggests that these sims are a danger to themselves and others. The Insane trait only feeds into the currently existing stigma against mental illness that prevents people who are suffering from getting help. Insane sims can’t see a therapist or take medication, the way people in the real world might be able to. They’re just Insane, lashing out at their peers and talking to themselves like an antiquated version of how culture has portrayed how mentally ill people behave. They live with all the real life stigma, but they don’t get any of the real life solutions. It doesn’t help that Insane sims are also frustrating to play. In 3, I always felt like I had to hand hold these sims through daily interactions. Instead of injecting a bit of randomness into my games, it felt like a chore making sure these sims didn’t accidentally die or get in a fight. In 4, it’s just harder to keep them happy. They’ll never have a low social need, but they’d also be randomly sad or angry, and sims in those moods are unable to do certain actions. Sad sims aren’t as social, and angry sims are more aggressive and won’t be able to sleep. If a sim gets too angry, they may even die. It should feel like playing the game with an extra challenge, just like living in an apartment building with noisy neighbors in the City Living expansion. Instead it just makes me want to play another sim that can hold down a job and go to sleep at night. Traits exist to give sims a little bit more autonomy. When your sim with the Active trait gets tense from not working out enough, it feels like they have their own desires. The Insane trait’s random moods and outfits don’t add depth to sims, though; they just feel random. That the Insane trait doesn’t fit with The Sims’ whimsical sense of humor, like the freeze ray or the talking skeletons. It doesn’t fit with the game mechanics meant to replicate human behavior, either. It feels like a lazy joke, one made at the expense of people who might actually be playing The Sims.